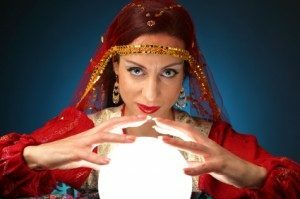 In central Louisiana, the city of Alexandria recently enacted a law forbidding fortune tellers, palm readers, tarot card readings, astrology and other psychic readings. However a Federal Judge accepted the recommendation of a U.S. Magistrate Judge that the law was unconstitutional. The judge stated that the law violated First Amendment Free Speech Rights. Filing the suit was Rachel Adams, a fifth generation psychic, fortune teller who owns and operates a store front in Alexandria. Ms Adams claimed she accepts donations but doesn’t charge for her readings. She was issued a summons in 2011 for violating the ordinance. In the federal suit, the city of Alexandria argued that the business of fortune telling is inherently deceptive and fraudulent. City officials claim that they have a duty to enforce all laws, and argue in court to support those laws. The city, seemingly aware that they were beaten, did not object to the Magistrates recommendation.